Dropbox is one of the popular cloud storage with lots of features which you can enjoy with the free Dropbox account. In our previous post we shared lots of Dropbox tips to our readers such as how to upload files to your Dropbox from your email account, backup your WordPress blog Database, Files to Dropbox and how to use DropBox to find your stolen computer / laptop. Today we came with the new tips which allows you to use your Dropbox account your inbox to received files from your friends. 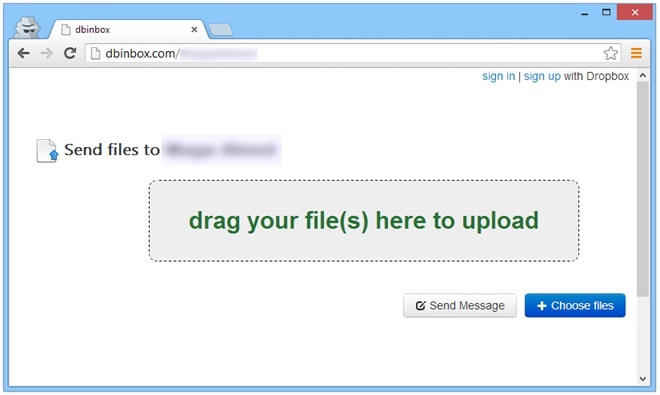 With this way any of your friend whether he is using Dropbox or not, he will upload a file directly to your Dropbox account. The process is so easy and that any one can upload the files on your dropbox account without installing ant application. To use it, all you have to try the new web app dbinbox, dbinbox is free we application which allows you to unique URL to send to someone that will allow them to upload a file directly to your personal Dropbox account. After that you can use your Dropbox account a Inbox to receive files on your account. After that you have to link your Dropbox Account with the dbinbox app to create the unique URL. Hit the “Link With Your Dropbox” Button and follow the onscreen instructions. Now the page will ask you login with your Dropbox Login id and Password and after that the Dbinbox ask for your permission to create a new folder on your account, Hit the Allow button to follow the next step. 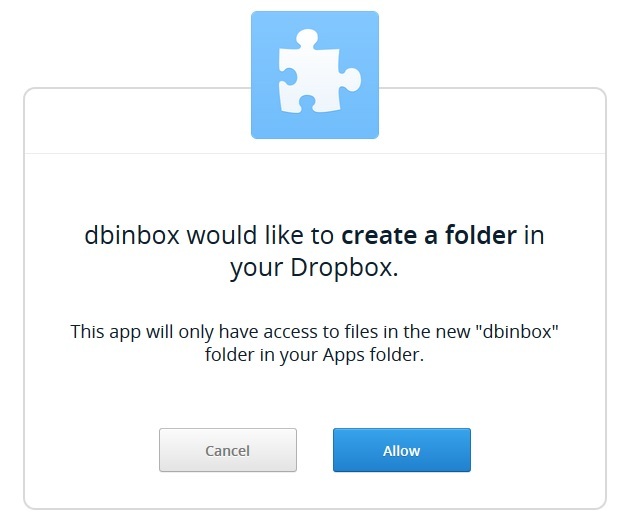 Now you’ll find a newly added Dbinbox folder inside your Apps folder. Now all you have to send the unique URL to all you friend that you created above with the help of dbibox webapp. Now every time when your friend open that url on the browser they will see the new upload page on the browser, from there they can up lad files directly to your personal dropbox account. An nice and easy way to receive files from your friends on your Dropbox account. Dbinbox also allows you to send yourself messages, which are stored as TXT file in your dbinbox folder.